College life is 'On The Go'. Nonstop. Naturally, eating becomes on the go as well, but just not good for you nor particularly tasty, but what the hey…I'm hungry and don't want to stop. For many college students, processed food becomes the norm as does weight gain and bad eating habits. Shying away from 'fat' and 'carbs' is not the answer either, because not all 'fats' and 'carbs' are bad for you. Getting natural sugars from fruits and fats from healthy substances (fish, olive oil, avocados) has also been shown to curb cravings more readily when compared to eating 'low-fat' or 'artificial sweetener' products. Furthermore, fat is critical for making foods taste good while satisfying your sense of taste and hunger. In essence, your brain finds real food much more fulfilling. So, make your eating worthwhile and good for you without skipping a beat! 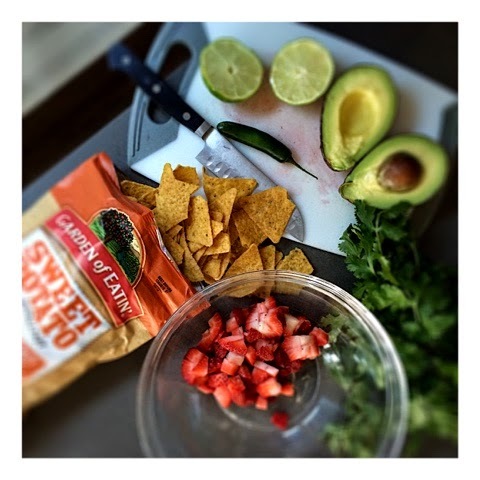 Check out a few tips from Cooking Light July 2014 article on 'Avocado Exchange' for ways to incorporate them in place of calorie-laden, saturated fats like mayo or butter. 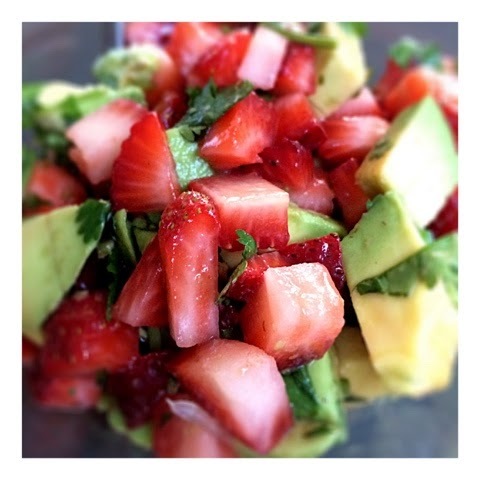 --mix in a few slices of avocado into your salad rather than adding cheese. 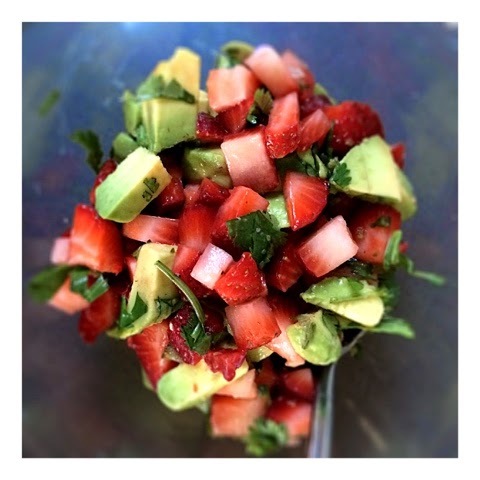 Did I mention that strawberries go great with avocado? And they are popping up everywhere in stores right now? 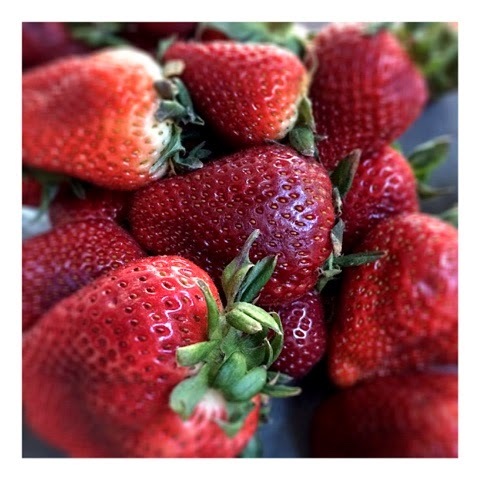 Fresh, red, super-sized berries--on sale! 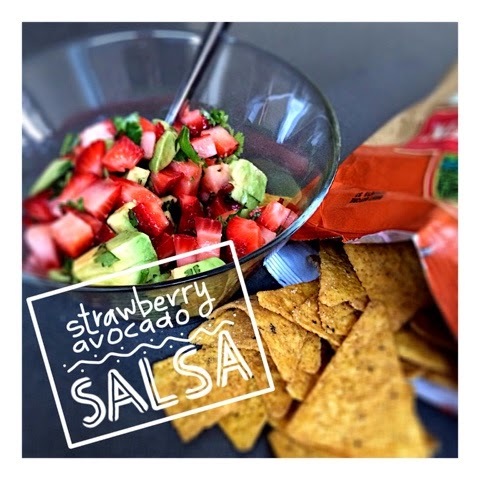 Take advantage of this to stock your freezer, make incredibly fresh smoothies, or combine them with avocado for a fresh new take on salsa and chips in the recipe below! You simply can't go wrong! 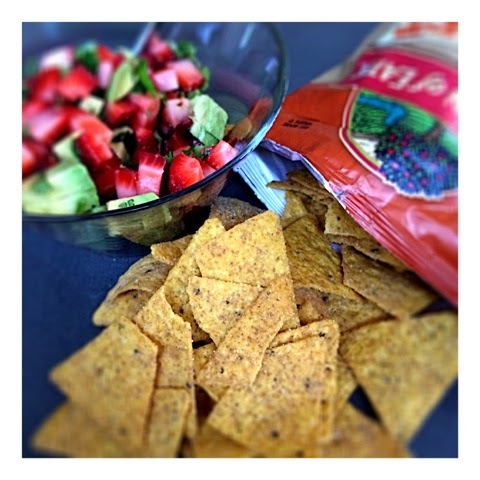 I used a fantastic tortilla chip from Garden of Eatin' in place of the hassle of making my own cinnamon crisps as originally outlined in the recipe from Cooking Light. 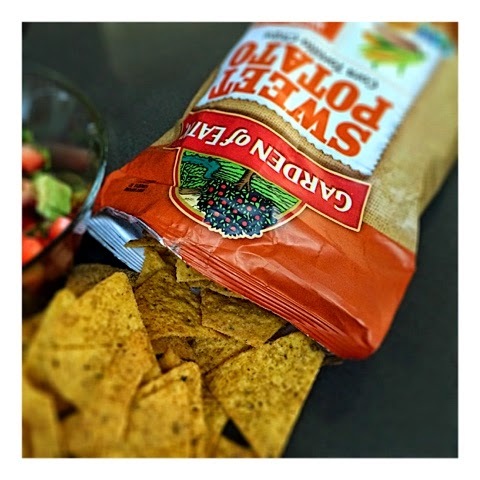 The Sweet Potato Corn Tortilla Chips are robust and dusted with a touch of sweetness and cinnamon--absolutely perfect for this salsa! Eat real food! Feel good! Stay healthy! Never settle! 2. 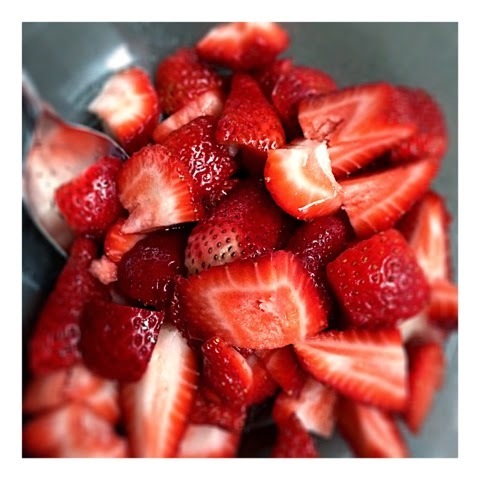 Clean and prep your strawberries. 3. Slice your avocado, remove pit, and score the flesh. 4. 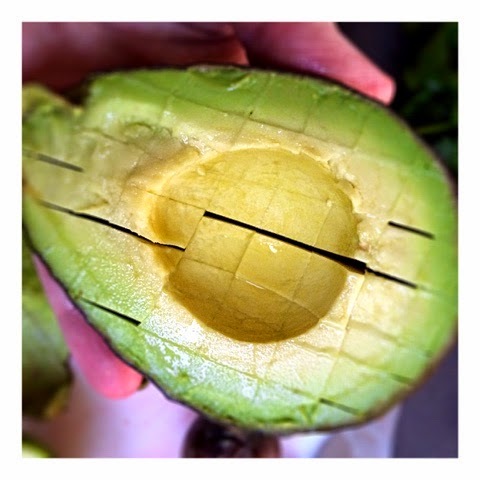 Invert the avocado skin / peel inside out to release little cubes. 5. Add cilantro and jalapeño / serrano. 6. 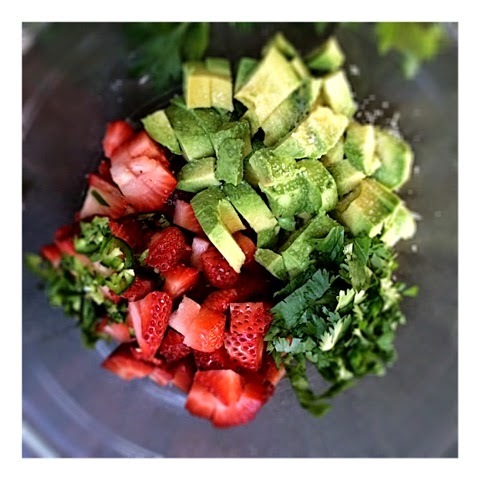 Add salt and lime juice.